I just wanted to wish you all a very happy holiday and to say thank you for visiting my corner of t’internet this year. 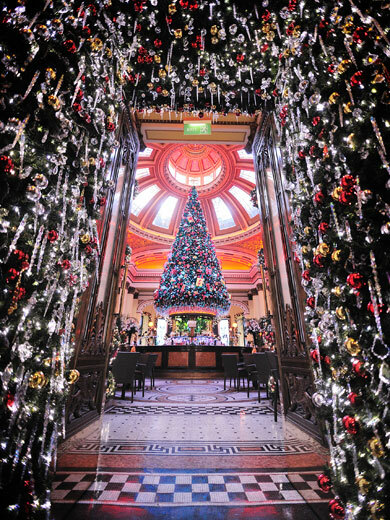 The photo is of The Dome in Edinburgh. Yes, that is a giant Christmas tree suspended above the circular bar. It changes colour, too. 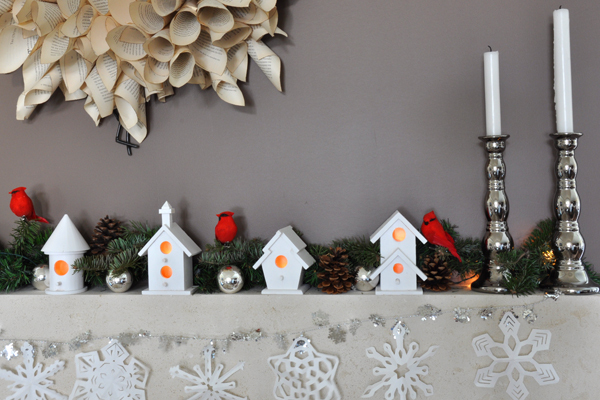 It’s almost certainly too late for me to create my own little bird house mantel for this Christmas – and I’d likely* explode in a non-festive stress bomb if I were to attempt it – but that won’t stop me reading BirdHouse’s tutorial and day-dreaming. Still, our tree went up on the weekend (with our assistance, we don’t have a magic self-decorating tree), the fairy lights and cards are strung around the living room, and I’m beginning to feel suspiciously Jolly. How about you? I love quotes. I love snarky ones, inspirational ones, and clever ones. I love those seemingly obvious ones that hit you at just the right time so that their meaning clangs inside your brain like a weight dropped from a great height, rendering your mental landscape forever changed. I also, perhaps unsurprisingly, love quotes about writing and creativity. This new regular blog feature (whoop) will showcase some of my favourites. Books aren’t written, they’re rewritten. Including your own. It is one of the hardest things to accept, especially after the seventh rewrite hasn’t quite done it. 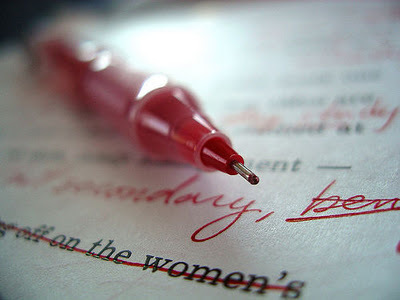 The beautiful part of writing is that you don’t have to get it right the first time, unlike, say, a brain surgeon. You can always do it better, find the exact word, the apt phrase, the leaping simile. And with that, I will get back to work. 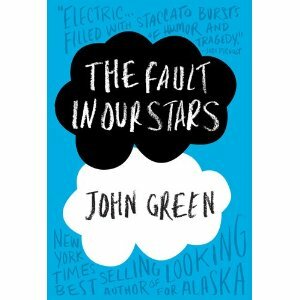 As you may guess from his Shakespeare-inspired* title, John Green is an author who refuses to condescend to his readers. Although his books are full of interesting references and child prodigy characters that spout poetry or, in the case of Looking for Alaska, are obsessed with the last words of historical figures, Green wears his intellectualism lightly. I feel more knowledgable for reading one of his novels, but mainly I fall in love with the characters and care deeply about how things will turn out. Just as it should be. Diagnosed with Stage IV thyroid cancer at 12, Hazel was prepared to die until, at 14, a medical miracle shrunk the tumours in her lungs… for now. Two years post-miracle, sixteen-year-old Hazel is post-everything else, too post-high school, post-friends and post-normalcy. And even though she could live for a long time (whatever that means) Hazel lives tethered to an oxygen tank, the tumours tenuously kept at bay with a constant chemical assault. Enter Augustus Waters. A match made at cancer kid support group, Augustus is gorgeous, in remission, and shockingly, to her interested in Hazel. Being with Augustus is both an unexpected destination and a long-needed journey, pushing Hazel to re-examine how sickness and health, life and death, will define her and the legacy that everyone leaves behind. I’ve read the first two chapters and, to resort to review cliché for a moment, they made me laugh out loud and weep a little onto my keyboard. The book is published on the 19th January but you can you can listen to John Green read the first chapter of the book here and pre-order a signed* copy here. * The quote that inspired the title is from Julius Caesar, fact fans: “The fault, dear Brutus, is not in our stars, But in ourselves”. **John Green has autographed every single book in the first printing, so all pre-ordered copies will be signed. I’ve given a link to Amazon, but do support your local bookshop if you’re lucky enough to have one. I’m obsessed with vintage stuff, everything to do with books, and miniature drawer units, so it was inevitable that I would love reclaimed library card catalogues. 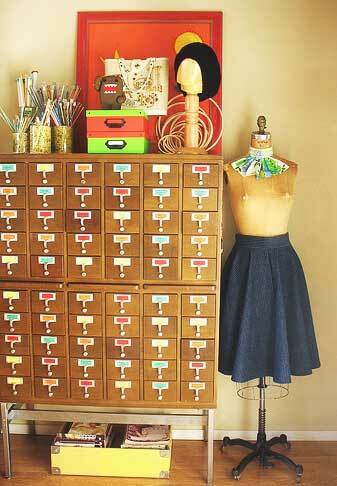 The digital age has shunted library index cards out of favour so there are beautiful wooden card catalogues ripe for repurposing in your home. 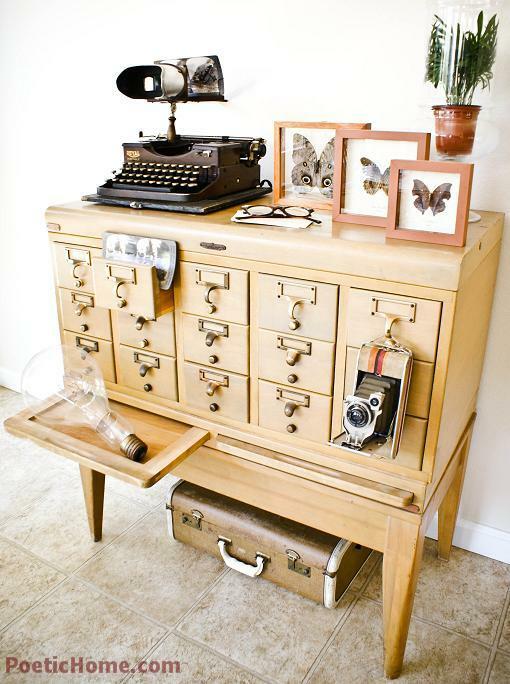 Poetic Home has an article full of ideas (and lovely pictures). Dream Book Design reinvented her unit into a beautiful buffet. Take a look for the how-to and photos.